Fed up of using the same pens and pencils! 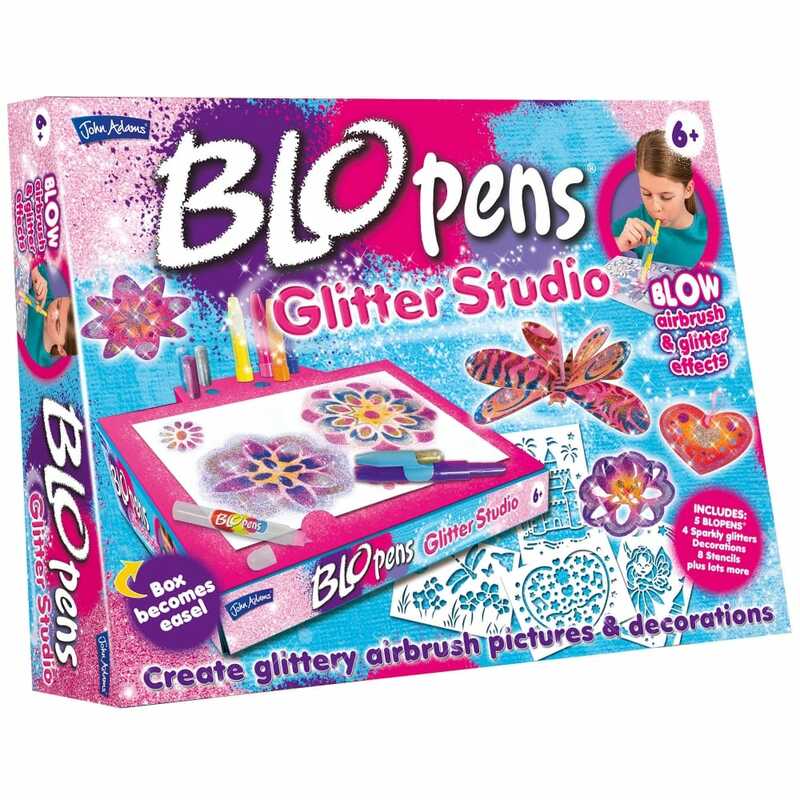 Discover a new way to colour in with Blo Pens, create amazing airbrush effects by blowing through the pen and bringing your coloured creations to life. The glitter studio lets you colour and create decorations as well as make a beautiful butterfly mobile and the easel has lots of storage space for your pens and glitters so that you have a mess-free work area. A bit about the brand: John Adams was established in 1967 and has been supplying quality crafts, games and toys to retail for over 45 years.